At Euroffice we like to think of ourselves as the friendly experts in stationery – and we’ve found some friendly expertise on #productivity. We’ve discovered a nice little piece from Time magazine about motivating yourself using psychological strategies. I’ve summarised the points and added a little tip that I use to round off. Make a note of everything you get done, however small. Even if it’s something as simple as climbing the stairs instead of taking the lift or doing that boring admin you’ve been putting off, that’s an achievement. As that list of achievements grows, you’ll start to feel happier and ready to be more productive. Productivity in the office isn’t just about getting things done, it’s also about rewarding yourself for doing them. For example, when I feel I’ve accomplished something, I’ll treat myself to a can of Coke. Think about something you want and set yourself conditions for earning it. You’ll feel really good when you hit them. Surround yourself with positive people who have the levels of success – whether at home or at work – which you aspire to. For example, I’ve read that we’re the average of the five people we spend the most time with; their #happiness and productivity will help lift yours. Who knows, you might find that your positivity helps inspire someone else. 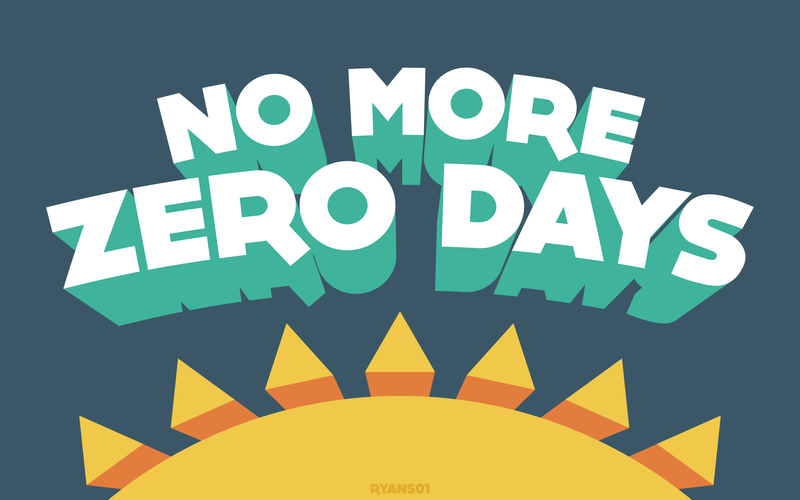 A little while ago I came across a motivational post on the idea of ‘no more zero days‘. I guess you could sum it up as ‘Do at least one thing each day that your ideal self would do’. I have just completed the configuration of a new server – does this qualify for a having a can of pop ?